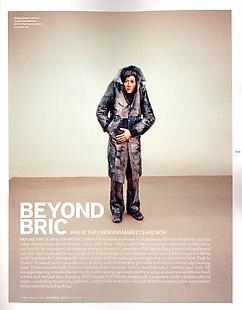 Before the global financial crisis, the headline story was how dramatically both the profile and the value of works from Brazil, Russia, India, and China-the so-called BRIC countries-had risen. In fact, these can hardly be considered developing markets anymore, as witness Phillips de Pury’s creatively packaged sale this April dedicated to BRIC art (its first in the category), not to mention the record-breaking prices being paid for pieces by Chinese and Indian artists and the nice galleries opening in cities from New York to Sydney. So where are those collectors, dealers, and curators who gravitate toward the cutting edge looking now? There is a noticeable buzz surrounding four locations: Turkey, South Korea, Columbia, and Iran. All are experiencing remarkable bursts of creative energy accompanied by a surge in commercial interest both within and beyond their borders. In the pages that follow, we provide a snapshot of the vibrant cultural scene-including the artists, galleries, and patrons to watch-in each of these countries that seem poised to become the next big thing.